Students dig deep into the engineering design process, applying math, science, and engineering standards to hands-on projects. 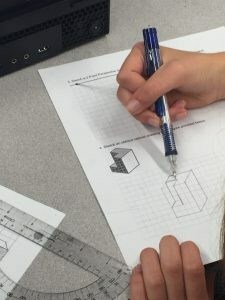 They work both individually and in teams to design solutions to a variety of problems using 3-D modeling software, and use an engineering notebook to document their work. From smartphones to appliances, digital circuits are all around us. This course provides a foundation for students who are interested in electrical engineering, electronics, or circuit design. Students study topics such as combinational and sequential logic and are exposed to circuit design tools used in industry, including logic gates, integrated circuits, and programmable logic devices. 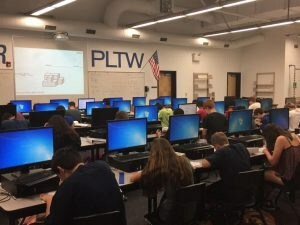 Students identify a real world challenge and then research, design, and test a solution, ultimately presenting their unique solutions to a panel of engineers. 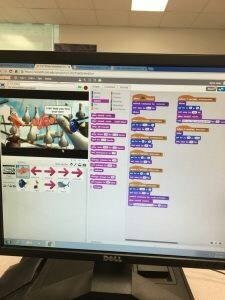 Using Python® as a primary tool and incorporating multiple platforms (Scratch, MIT App Inventor) and languages for computation, this course aims to develop computational thinking, generate excitement about career paths that utilize computing, and introduce professional tools that foster creativity and collaboration. Computer Science Principles helps students develop programming expertise and explore the workings of the Internet. Projects and problems include app development, visualization of data, cybersecurity, and simulation. 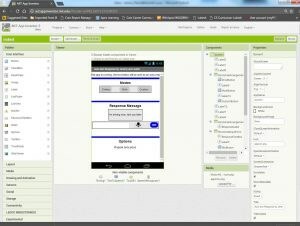 Computer Science A focuses on further developing computational-thinking skills through the medium of Android™ App development for mobile platforms. The course utilizes industry-standard tools such as Android Studio, Java™ programming language, XML, and device emulators. Students collaborate to create original solutions to problems of their own choosing by designing and implementing user interfaces and Web-based databases. Cybersecurity introduces the tools and concepts of cybersecurity and encourages students to create solutions that allow people to share computing resources while protecting privacy. 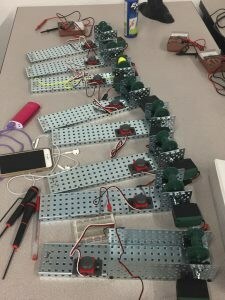 Nationally, computational resources are vulnerable and frequently attacked; in Cybersecurity, students solve problems by understanding and closing these vulnerabilities. This course raises students’ knowledge of and commitment to ethical computing behavior. It also aims to develop students’ skills as consumers, friends, citizens, and employees who can effectively contribute to communities with a dependable cyber-infrastructure that moves and processes information safely.